I took a walk last night. And before you roll your eyes, no, I’m not playing Pokemon Go. What I was doing was walking around and watching people (I do that as an author, it helps write better characters). I’ve seen a number of disturbing trends in our society, not least of which is a decline in, well, being social. What I saw was a park filled with people, more people than I’ve ever seen there before. Old people, young people, black people, white people, Hispanics, Asians, families, and individuals, all of them walking around, pausing to talk with one another, and then going about their business. They’re playing a silly game… but more importantly they’re having fun and they’re thumbing their noses at the cynicism and world weary attitudes that have made our current society so dark. I hear nothing but criticism online and especially through the media. What that tells me is that the usual magnets of entertainment are afraid. They’d rather you were glued to your smartphone reading the latest bad news (shootings, now with more bloodshed!) or absorbed in the current trainwreck of an election cycle. The last thing they want is people outside, talking with one another in a friendly fashion. 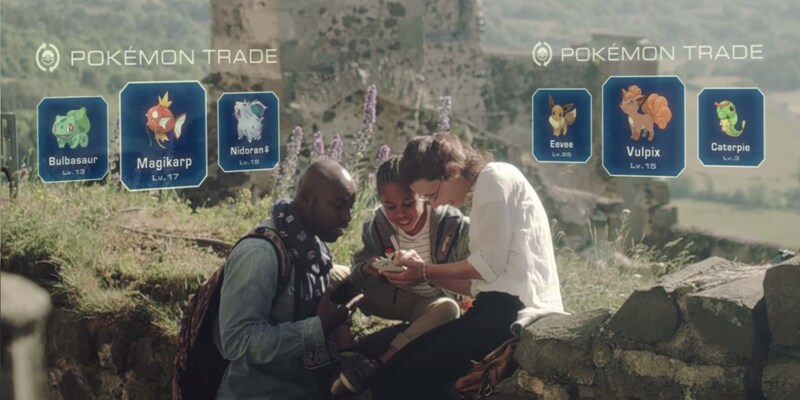 Pokemon Go isn’t anything particularly new. It’s a rehashing of a 1990’s era Nintendo game which at its root is just a scavenger hunt. If it gets people out of their house, out of their normal comfort zone and most importantly, talking to one another in a civil, friendly fashion… then what’s the problem? I’ve heard criticism from all kinds of angles. “Criminals are using it!” Well, hate to break it to you, but criminals also use dating services, want-ads, and the internet. “It’s disrespectful to have them chasing these things through location X!” At least it has people showing up, there, right? The vast majority of people I’ve seen playing this game aren’t just walking around, their noses pressed to their screens. They’re walking around looking at things, checking their phone and walking again. If this gets someone to visit a memorial or a church, then they might see something or experience something that they wouldn’t either see or do. And I’m sorry, but I can’t think of anything that would be inappropriate about the happy laughter of kids in a place like Arlington National Cemetery. You know what that is? It’s freedom to live life and it’s wonderful… it’s what those who gave their lives for. There’s plenty of other spurious arguments. Most of them come back to “it’s silly.” So is being a grumpy curmudgeon. Go out and watch people. They’re having fun, they’re being a little silly, and if you ask me, that’s just what this country needs right now.